Pleurisy root is a cousin of milkweed, native to North America. 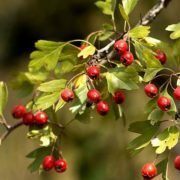 It is not used so often in today’s herbal community, but was a favorite medicinal plant to both Native Americans and early American electic physicians. Uses: Highly valued in treating pleurisy, pneumonia, and influenza to reduce inflammation and assist expectoration (1). As a diaphoretic, pleurisy root can be useful in breaking a fever. It also has a moistening effect to both the skin and the mucus membranes, lubricating dryness and loosening secretions that have become stuck or stagnant. 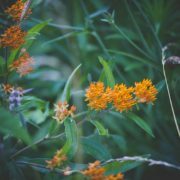 Asclepias relieves sharp pain associated with pleurisy and acute bronchial trauma or infection (2). IHistorically pleurisy root was also used for consumption, diarrhea, dysentery, rheumatism, typhoid and eczema (3). Indications: sharp, cutting chest pain that comes on suddenly and persists for hours or days (2), pleurisy, pneumonia, acute fever. The American Eclectic physicians favored this medicine as a treatment for any disease where the skin is hot or dry, or in which the pores are weak and allow for passive sweating, with a flushed face, a full pulse, and pain that is worse with movement. Contemporary herbalist Matthew Wood recommends pleurisy root for a “cough that is dry in the upper lungs, wet in the lower lungs,” “pneumonia in the early stages, especially in children,” “coughs that are tight, dry and constricted,” and “sharp, stitching pains in the chest; pain in the chest from coughing” (4). Cardamom is a well known and loved spice from the Indian subcontinent, often used as an ingredient in chai tea and used to flavor curries, desserts, and liqueurs. In Egypt and the Middle East, cardamom is ground and put into coffee to offset the acidic effects of coffee in the body (and it adds a delicious flavor)! The stand-out characteristic of cardamom for me is its ability to break up. I think of cardamom for any condition involving too much mucus, whether in the lungs, sinuses or GI tract. I love adding cardamom to milk, yogurt or ice cream to “warm” the cold nature of the dairy and neutralize its mucus-forming tendencies. Contraindications: large amounts of cardamom can aggravate ulcers or other excess Pitta conditions. 2. Lay pears down on a baking dish. 3. Coat the bottom of the dish with water. 4. 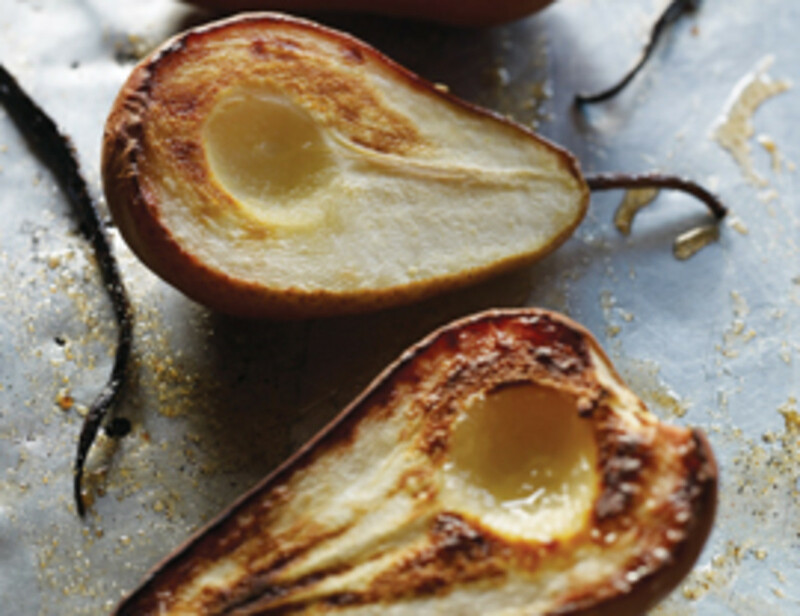 Sprinkle the pears with cardamom. 5. Bake at 350 til tender. Check out this website for many wonderful Ayurvedic recipes! You can type cardamom into the search field to see a full list of recipes using this incredible spice. Indications: St. John’s’/Joan’s wort has a special relationship with the sun. 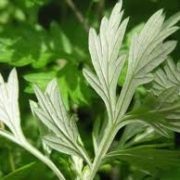 It is one of the plants that help to bring sunshine to the dark places, illuminating the shadows of the body and mind. It has a long history of treating melancholy and gloominess (mild to moderate depression), as well as anxiety, nightmares and Seasonal Affective Disorder (SAD). It was considered a remedy for possession by evil spirits in Medieval times, which is sometimes interpreted as referring to psychiatric disorders such as schizophrenia, phobias and nervous breakdown. It also has an affinity for preventing and healing all degrees of burns. 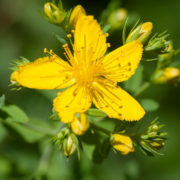 Some sources caution that St. John’s Wort taken internally may cause photo-sensitivity and increase one’s susceptibility to sunburn, but others say that only applies to the capsules and standardized extracts, and that whole plant preparations like tinctures do not produce that effect. 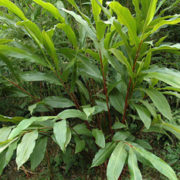 Susun Weed uses the infused oil as a sun-protectant for the skin. I use it as a remedy for both sunburn and regular burns from the oven. It reduces pain and redness from the skin very quickly, and I find that only 4-5 applications after a minor burn is needed to resolve all pain & redness, prevent peeling, blisters and scarring. St. John’s Wort is considered cooling and can help to balance our internal fires when they get too intense. The fire element governs our sense of self worth, our abilities to transform food, and to make decisions. When our fire element is overactive, it can lead to irritability, anger and a desire to control everything. This type of chronic stress fries the nervous system, creates inflammation in the body, and makes us more susceptible to injury. St. John’s wort can ease inflammation, strengthen the nerves, decongest the liver, strengthen our gut-level instincts and heal our aches and pains when we overdo it or accidentally injure ourselves because we were too hasty. St. John’s wort is wonderful remedy for wound-healing as it relieves pain, helps with tissue repair, and strengthens the integrity & elasticity of the capillaries, arteries & veins. As an antiviral, St. John’s Wort has been shown to be useful in countering viruses such as HIV, herpes, measles, hepatitis A & B, and influenza. It is overall a widely applicable plant and an indispensable part of any medicine cabinet, for its abilities to cheer you up, ease your aches & pains, strengthen the nerves, heal burns and counter infection. External Uses: for wounds, burns, blisters, rashes, abrasions, bed-sores, bruises, boils & stings. It also makes a great massage oil for nerve pain, muscle spasm, stiffness & sprains. Its antiviral properties do pass through the skin and can be useful in cases of shingles. Contraindications: St. John’s Wort should not be taken concurrently with prescription anti-depressants. Because St. John’s wort is such a potent liver cleanser, it is also contraindicated for any medications that are metabolized via the CYP-450 pathway in the liver. It will cause your body to eliminate these drugs much more quickly. Please do your due diligence to make sure that St. John’s Wort does not interact with any of your medications before taking this herb. This information is intended for educational purposes only and is not meant to diagnose, treat, or cure any disease. Dubbed the “Queen of Flowers,” Rose has been a favored plant throughout human history. It has been cultivated for thousands of years, and has always been associated with love, sensuality and beauty. 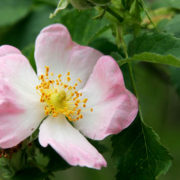 This materia medica applies to both wild & cultivated roses. Properties: astringent, soothing, calming, uplifting, uplifts spirits, disperses melancholy, eases anxiety & tension, clear heat and toxins, decongestant to female reproductive system, nourishing to the heart & circulatory system. Indications: as an aphrodisiac, rose teaches us to walk the line between fierceness & vulnerability. It softens our walls and encourages us to be open, while at the same time reinforcing personal boundaries. Rose has a profound opening effect on the heart and is a lovely salve for broken hearts as well as those who have been the victim of violence, sexual abuse or betrayal. Rose teaches self love and helps us to see the inherent beauty in ourselves & our surroundings. As an astringent, rose petal tea can be used as a gargle for sore throats (especially when combined with rose-infused honey). It dries clear mucus discharges, relieves runny nose, brings down a fever and enhances immunity by clearing heat and toxins. The cooling, astringent petals are also helpful for inflammation in the digestive tract (IBS, infection, leaky gut). As a cardiovascular tonic, rose can soothe a racing heart and strengthen the blood vessels, improving elasticity, healing microwounds & combating oxidative stress. Its aromatic and dispersive properties make it useful in uterine congestion manifesting as pain, cramping and heavy periods. Irregular menstruation caused by blood stagnation. And it improves mood and may balance out mood swings associated with PMS (another sign of stagnation). Rose petal tincture is my favorite remedy for menstrual cramps. And, its cooling, anti-inflammatory properties can be applied to headaches due to stress/high blood pressure with a pounding quality. External Uses: compress for sore eyes, diluted rose petal-infused vinegar is amazing for sunburns, a liniment of the petals is good for sore muscles, esspecially in Pitta types, and for dislocate discs with swelling. A simple spit poultice is soothing for bug bites & scratches. A salve or paste made of powdered petals is useful for itching rashes and inflamed skin. Contraindications: Avoid rose oil internally if you have gallstones. Because of its astringent nature, long-term use of rose may exacerbate constipation and dryness. A common herb found in backyards, gardens, fields and forests, this lowly plant is often overlooked as medicinal, but don’t let its small stature or quiet disposition deceive you. It’s full of nutrients and makes a lovely spring potherb, tea, and is a soothing, anti-inflammatory & detoxifying tonic. Uses: Vioilet flowers are rich in vitamin C and the leaves are packed with Vitamin A (carotene). The leaves affect the nerves, lungs, immune & reproductive systems, with a special affinity for the breasts. Violet supports lymphatic circulation and mildly enhances bowel, liver & kidney function. Violet has a long history of being used in cancer treatment, in combination with other therapies. On its own, violet has been known to help dissolve tumors, cysts and some cancers, especially in the breasts. It essentially dissolves hard masses while relieving congestion of the lymphatic glands. Indications: Breast congestion, cystic breasts, lymphatic congestion, dry or spasmodic cough, red, itchy & inflamed skin conditions. 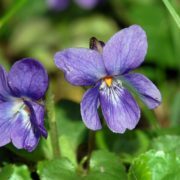 Hippocrates recommended violet for headaches, hangovers, bad eyesight, and excess of bile. Pliny said they induced sleep, strengthened the heart muscle & calmed anger. They have been used in Arabic medicine for constipation, tonsillitis and insomnia. Preparations: eat the leaves and flowers in a spring salad, use as an infused oil for breast massage. 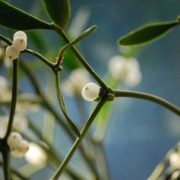 as a salve or poultice for topical relief of irritations to the skin, as an infusion for a nourishing & detoxifying tonic, as a tincture for its alterative action, or as a syrup for coughs. Dose: Tincture: 1-2 ml 3 x a day; as an infusion, use 1 cup of dried herb to 1 quart water. Steep 4-8 hours, then strain. Drink 1-3 cups a day. Homeopathic Use: for breathlessness & spasmodic coughs, whooping cough and breathing problems associated with anxiety. It is also for headaches with burning of the forehead & pain above the eyebrows and vertigo. A Violet person easily gets tense & over-excited. It particularly suits thin, nervous girls. Flower Essence: for profound shyness; suited for people who are delicate, sensitive and timid. Violet engenders a sense of warmth & openness. Folklore: Violet has been grown commercially since Greek times. The blooms were sold in Athenian street markets. The Romans adored the flowers and used them to adorn the heads of poets, civic leaders and other officials. Both cultures wore garlands of violet to prevent drunkenness. It was also used in love potions. Ahhh, Chickweed. It’s such a refreshing sight this time of year. Its clumping, succulent carpets of bright green scream fresh new life after winter. 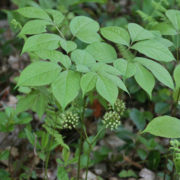 It might be my favorite wild edible plant, partly because of its abundant accessibility, and partly because my body is so excited for a bite of fresh wild green nourishment this time of year. You can experience the full vitality of eating fresh greens by getting on your hands and knees, and taking a bite directly from the earth as if you were a rabbit:) It’s such a different sensation than eating even the freshest greens from the grocery store or farmers market. And this is what I unabashedly do when I first encounter this plant each year. I bow down and give thanks for this delicious & welcome gift. Uses: Chickweed is primarily used either internally as a nutritive herb with cooling and detoxifying properties, or externally as a soothing remedy for cuts, itching, or irritation. Chickweed contains saponins, soap-like plant chemicals that emulsify and increase permeability of cellular membranes, thus, increasing the absorption of nutrients, promoting the excretion of metabolic waste, dissolving phlegm, neutralizing toxins, and even weakening bacterial cell walls, rendering them more vulnerable. 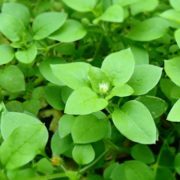 Chickweed also has a reputation for dissolving cysts, especially ovarian cysts, and some wise country women say it helps with weight loss (soap dissolves fat). Chickweed is very soothing to the bladder & kidneys and is used as a cooling diuretic for cystitis. Indications: signs of heat (fever, infection, coughs with yellow, concentrated mucus, inflammations, any condition ending with “itis”), chronic UTIs, internal or external wounds (to draw out splinters or infection, reduce swelling & inflammation), rashes (including chickenpox, measels, diaper rash, bug bites, or poison ivy), pink eye (as a wash), internally to support weight loss or dissolution of cysts. Preparations: Internally as a tea, tincture, or fresh plant. Externally as a poultice, salve, or wash. Cautions: None cited in literature. Dose: Tea: use 2 tsp of dried herb to cup of water: drink 3 ccups a day. Tincture: 60-100 drops (3-5 ml) three to four times a day. 3-4 oz nuts or seedsPlace chickweed, nuts & garlic in a food processor and blend until finely minced. Add the cheese, oil & lemon juice and process until blended. Transfer to a small bowl or tupperware & store in the refrigerator.Identification: Chickweed is out now, thanks to the warm weather & rain. You can often even find it growing under the snow. If you wish to harvest, remember to find a place away from the roadside & chemical sprays, and to harvest no more than 1/3 of what you find. I highly recommend that you get a field guide to help you with identification. It can be difficult early in the season, before the plant is in bloom. Here are some hints:The leaves of chickweed are small, ovate, oppositely arranged, and a little fuzzy. The leaves and stems have an almost succulent quality. This becomes more apparent as the plant matures. The stems are a little hairy, and if you look closely at the nodes, you’ll notice that these hairs change direction around each node. The flowers are also tiny and white in color. They appear to have 10 petals, when in reality they are 5 petals, each one deeply cut into 2 lobes. Happy Hunting! *These statements have not been approved by the FDA. The information contained here is not intended to diagnose, treat or cure any disease.